Above is a beer I have written about before, but I mention it again due to its high quality and unquestioned savour of terroir. 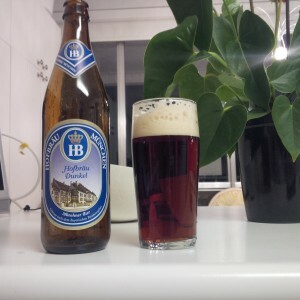 It has a rich, molasses/butterscotch taste, very Bavarian and difficult to emulate in North America (I’ve never had one at any rate). The real thing, from people who know exactly what fine beer is all about. Just don’t get it too old, this one was four months from packaging and still tasted very fresh. Below, a new release from Crown Royal. It is 90% rye mash, meaning a rye grain mash (all rye or mostly) taken off the still at a low proof (under 80% ABV) as all traditional spirits are. I’d guess the 10% is a whisky made from a neutral spirit base or mostly. It tastes like a U.S. 80 proof bourbon if you added a measure of Canadian whisky to it, like a watered down bourbon. Not bad, but for the price or less, better options are available, IMO. The taste is sweetish, a little apply, with some oak, no char that I can tell, a decorous whisky in the Canadian tradition albeit less timorous than the typical Canadian whisky blend. A shame that you were slightly underwhelmed. Did you detect any “spicy” rye notes in this release? If tasted side-by-side, what differences would you perceive with the standard CR bottling. Alan, thanks. There was at the Concordia Club excellent draft Hacker-Pshorr from Munich at the recent Oktoberfest in K-W, and different hard liquors from Germany although most were on sweet side. 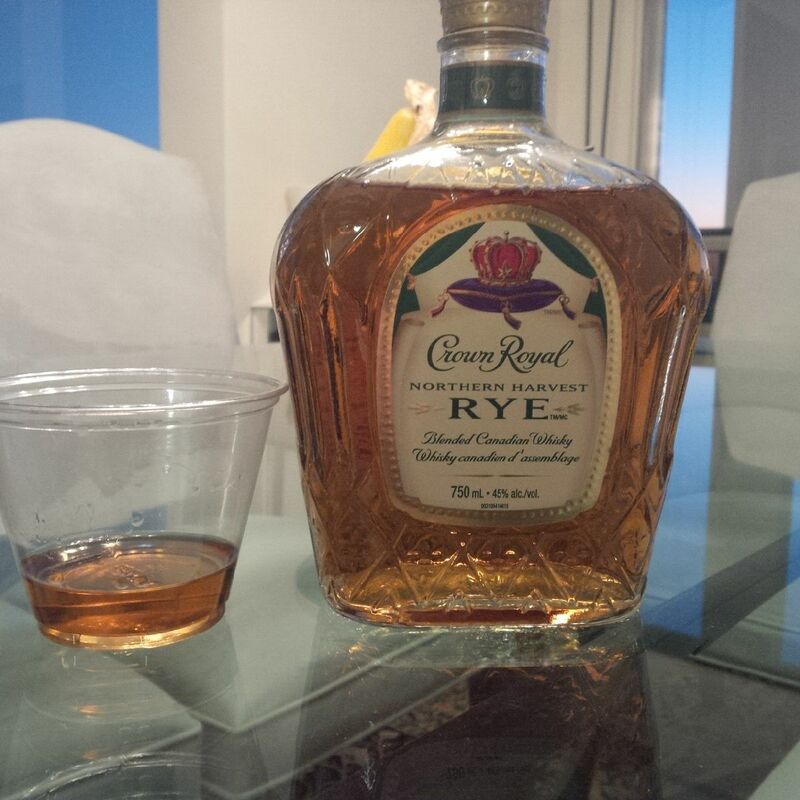 This Crown Royal would make a better boilermaker with either of those beers. (Plus, rye spirit in America may come from there, or Holland, anyway as we’ve discussed…). This Crown Royal is not similar to regular CR. It is more like a bourbon as I said toned down. It’s got a spiky alcohol note I don’t really like although it could be the batch. I prefer it when they design it for neat drinking with a softer, glycerine-like palate. It has resemblances also to the old Michter’s Original Sour Mash, not as good though. Thus, yes, there are minty edges from the rye, but restrained. Canadian Club’s Single Rye Grain is better IMO with more “straight” character. I don’t know if the CR rye mash is aged in new charred wood, I’d think not but am not sure. Every straight-style Canadian whisky I’ve had is more restrained than American examples, I’m not sure why. Could be higher barrel entry proofs or different effect of our climate on the maturation. In my opinion it’s the higher entry proof, combined with the 9.09% unknown which both tend to “tame” the feistier elements evident in American straight ryes. But the CC Single Rye Grain (green label) has no 9.09 per cent, it’s 100 per cent aged in new charred wood in Alberta (it is sourced from Alberta Distillers, an affiliate). The various other similar distillates sold in U.S.under different names similarly have a relatively mild impact vs. Kentucky rye. Entry proof may be part of it but the deep long intense summer of Kentucky has a role here I think as against the cooler Canadian summer. Even with cycling as it’s called in some warehouses, external climate still matters. Finally, Canadian stillhouse procedures may differ. I am not sure if certain secondary constituents aren’t removed in Canada before barreling eg. by fractionating them off in some way. In the States, nothing is taken out from the distillate I understand for straight whiskies.